what? The assignment was for them to bring to school a home-made clock. project. Can you believe it? It was way past midnight after all! said: "Ma, that's nicer than what other Mamas made." Hehe. 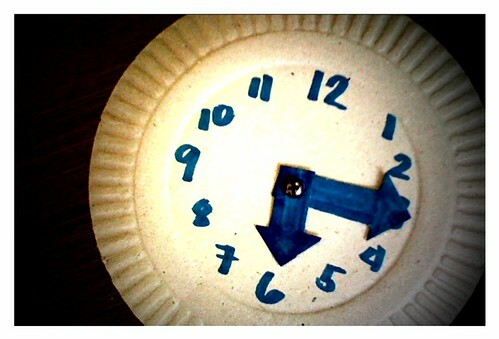 Nice hand-made clock. With the corrugations around it, the clock is really a work of love! Hehehe! Impress upon Jake that TIME is God's indispensable gift. What we do with it is our gift to Him! Amen?